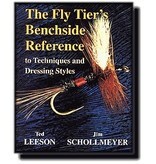 Fly Tier's Benchside Reference Book is the most concise and comprehensive reference on fly tying methods you'll ever see or need. 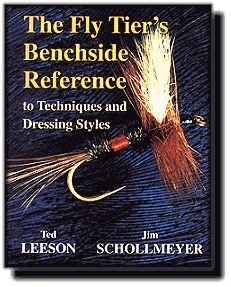 This comprehensive fly-tying book includes information on selecting materials, thread handling, hooks, weighting hooks, tails, ribbing, bodies, wings, legs, heads, eyes, and more. 3,000 photographs, 400 tying methods discussed.